Your wedding day. It’s a once-in-a-lifetime event that you’ve likely been planning for awhile now. For most couples, professional photography is one of the most important investments you’ll make on your wedding day. Your wedding images will be something you’ll look back at years from now to re-live the day. The photographs from your wedding will be an heirloom that will be passed down to your children and your grandchildren for future generations to enjoy. When searching for a photographer, it’s important to find a photographer who you connect with and who’s style of photography you love. Once you’ve narrowed down your choices, we recommend meeting with them in person to learn more about their personalities, experience, and their approach to telling your story. It will also give you an opportunity to look at samples of the products that they include in their packages. At the end of the day, the investment that you make in your wedding photography is an investment in capturing those timeless images that only happen once in a lifetime. The investment you make in photography services will be one of the most enduring elements to remember your special day so be sure to express your wants and desires to us so we can build a package to suit your needs. Planning a multi-day ethnic wedding that requires more than one day of coverage? 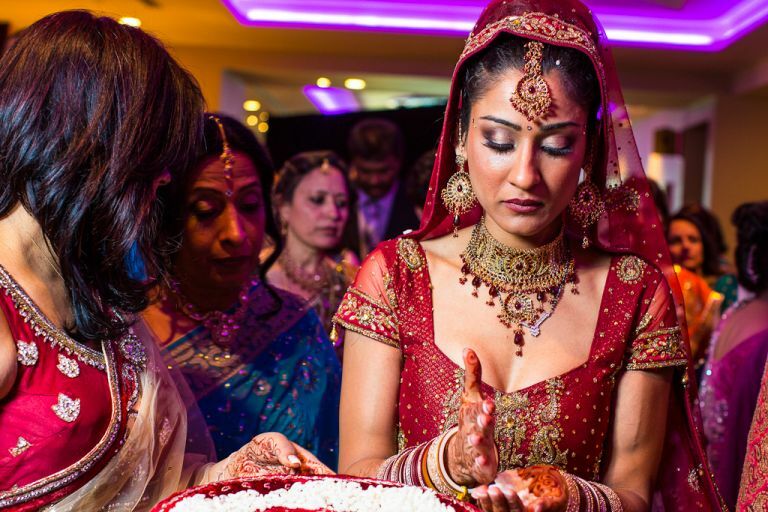 We have photographed a variety of ethnic weddings including Hindu & Sikh weddings. Click here for more information on our multi-day coverage options. Our pre-built wedding packages offer the best value for Saturday weddings taking place during high season (May - October). To guarantee our availability during this time, we recommend booking one of our packages 12-18 months prior to your wedding date. If your wedding is taking place outside of high season or on a weekday during high season, talk to us about building a custom package to suit your needs. A non-refundable 50% retainer and signed contract is required to confirm a booking. Planning an extended or multi-day wedding? We have photographed a wide variety of cultural weddings which require extend hours of photography across multiple days. These include Hindu, Sikh, Lebanese & Muslim weddings. 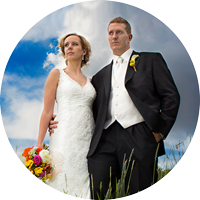 To accommodate these weddings, we offer 3 pre-built photography packages to choose from. We can also build a custom package to suit your needs. Normally our coverage is based on a consecutive number of hours of coverage per day. If your wedding timeline has a large gap during the day, we also offer the option of a holding rate which is less than our regular photography rate but would allow you to pause coverage for up to 6 hours. Don’t just take our word for it. Check out a few testimonials from some of the wonderful clients who have relied on us to photograph their wedding days. 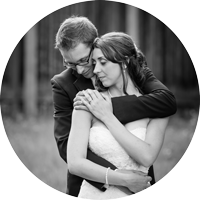 "We were beyond thrilled with our wedding photographs. You captured so many amazing moments that I otherwise may have forgotten or missed." You were so unobtrusive during our ceremony and reception that I actually wondered if you were still there at one point (of course you were!!) You two were so easy to work with that it was actually fun taking the pictures with our wedding party that hot summer day. You were always extremely professional and responsible dealing with us through the whole process. We never had to worry about you being late, getting lost, etc., and you scouted the perfect location for our first look photos in the park. Thank you so much, we will definitely be referring our friends and family to you. We were beyond lucky to have Bruce and Sarah as our photographers for our wedding. The moments they captured will be cherished for a lifetime. The beauty, love and real emotion of the day came through in every shot. When you plan for one day for so long – to have photographers that “get” your vision is so important. From getting together beforehand to discuss ideas, to coming to the rehearsal dinner – Bruce and Sarah care about their work and their clients. 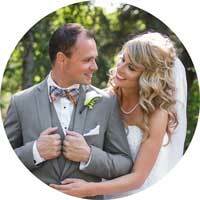 If you are getting married in the Edmonton area you NEED to hire Moments in Digital Photography! Bruce and Sarah are both extremely professional, true experts of their trade, and incredibly easy to work with. Prior to the wedding they were very open to accommodating what my wife and I had in mind and were in constant communication with us the whole way through to help work out all the details. On the wedding day they went above and beyond to capture all of our special moments and did it all with a smile. Not only is the quality of the photography high-end, Bruce and Sarah clearly take pride in the products they use to display their pictures, and my wife and I can’t wait to receive our album which will be handmade over in Italy! My wife and I highly recommend you give Moments in Digital a call when looking for wedding photographers, you won’t regret it! Thank you so very much Bruce and Sarah! 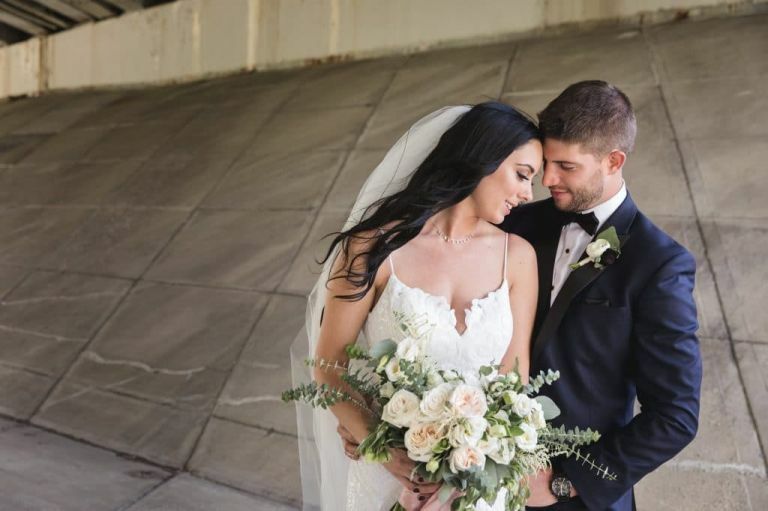 When my husband and I were searching for a wedding photographer, we were overwhelmed with the many talented photographers in the Edmonton area. We had received two separate recommendations to contact Moments in Digital and met with them to further discuss our plans. We were immediately struck by Bruce and Sarah’s level of professionalism, creativity, friendliness and senses of humour. We opted to use Moments in Digital to capture our wedding day, and from start to finish were thrilled with the results. Our first year anniversary is quickly approaching, and we regularly look back at our photos and album to remember the day. We loved the uniqueness that Bruce and Sarah brought into our photos and would highly recommend them to anyone looking for trustworthy, creative and genuine photographers. They continuously exceeded our expectations and were an absolutely fantastic couple to spend our wedding day with. Visit the blog to view the latest examples of our work. Our blog is organized into categories so you can view some of the weddings and engagements we’ve photographed. We’ve photographed over 200 weddings. Visit our wedding portfolio to see some of our favourite wedding photographs that we’ve created with our clients over the past few years. Engagements are a great way for us to get to know our couples and it’s a great way to get comfortable in front of the camera before your wedding day.